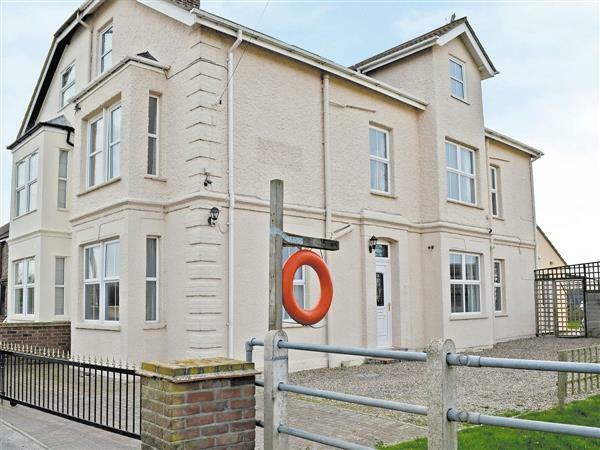 Perfect for a family summer beach holiday or a winter escape, this traditional two-storey house, one of a pair, has been lovingly restored to offer spacious accommodation. It lies just 100 yards from a glorious sandy beach – a paradise for children. The local shop and inn are just 100 yards away and it is ideally placed to take advantage of the myriad attractions this lovely area has to offer. Beach House provides a welcome break at any time of year. Winterton’s circular walk and nature reserve are just 6 miles, whilst fishing and day boat hire at Ormesby, Filby and Rollesby Broads, can be enjoyed. Take a day trip to Great Yarmouth for family fun and entertainment, and of course the latest treetop adventure park BeWILDerwood, which the children will love. Boat trips can be found at Wroxham, the capital of the Norfolk Broads, or take a trip on the steam train. Visit the seals by boat from Morston and sample the local seafood at the many coastal villages. A day out can be enjoyed at Norwich, a medieval city, with its castle, cathedral, fine dining, museums and excellent shops, which is just a short drive. Shop, pub and restaurant 100 yards. Ground floor at Beach House: Living room. Dining room. Kitchen with dining area. Utility room. First floor: 3 bedrooms: 1 double with en-suite bathroom with shower over bath and toilet, 2 twin, both with en-suite shower room and toilet. Second floor: 2 bedrooms: 1 double with en-suite bathroom with bath, shower cubicle and toilet, 1 twin with en-suite shower room and toilet. Wood burner in living room (initial fuel included). Oil central heating, gas, electric and bed linen included. Freeview TV. DVD. CD. Gas cooker. Range. Microwave. Washing machine. Dish washer. Fridge/Freezer. Enclosed lawned garden with patio, sitting-out area and furniture. Bar-be-que. Ample parking. Welcome pack. No smoking. Holidays at Beach House run from Saturday to Saturday. For a better idea of where Beach House is, you can see Beach House on the map below. Beach House is in Norfolk; should you be on the lookout for a special offer, you can find all the special offers in Norfolk. It's always worth checking to see what is on offer at the moment. Do you want to holiday near Beach House (29575), you can see other cottages within 25 miles of Beach House; have a look to find your perfect holiday location.